The selection of car parks we list are competitively priced and located close to the airport. They are open all day, 7 days a week. All airport car parks are insured and guarded, providing free transport to and from the airport. To see detailed information about the various car parks please click on their names above. If you need information about the price or availability of spaces in the car park please click "Check Availability” and you will receive an instant quote for Gdansk airport parking. When you are ready to book simply click "Book” and complete the online booking form. After booking, confirmation and all the details will be emailed to you, including detailed directions to the car park. Booking a parking space online is easy and secure and guarantees you a parking space for Gdansk airport parking. Lech Walęsa Gdansk International Airport is located near the Tri-City ring road and the intersection of the country's major roads and motorways. It is ideally located between the three large Cities of Gdansk (10 km), Gdynia (23km) and Sopot(10km). It is also an aerodrome for Warsaw Okecie airport. 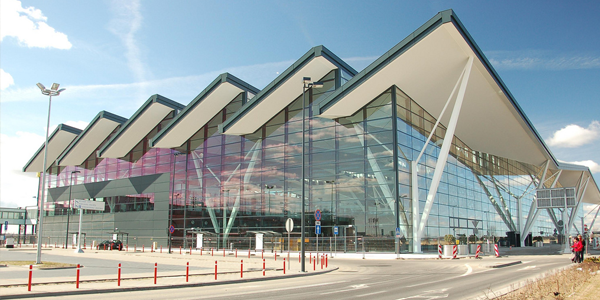 Gdansk airport is very popular in northern Poland, where there is direct access to the coastal resorts. Due to the large number of passengers using Gdansk airport, ParkVia offers secure alternatives for your Gdansk airport parking.